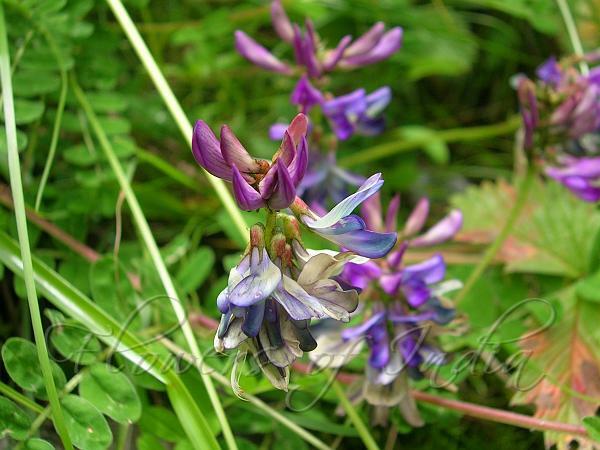 Bush Vetch is commonly found on rough ground, climbing on hedges and bushes. 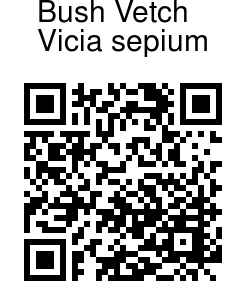 The species name sepium means, of hedges and fences. Bush Vetch is a perennial, scrambling or suberect, with creeping rootstock. Compound leaves with 8-12 leaflets, 1-2 cm long. Inflorescence is a 2-6-flowered raceme. Flowers are two-lipped, typical bean family shape, reddish to lilac blue.